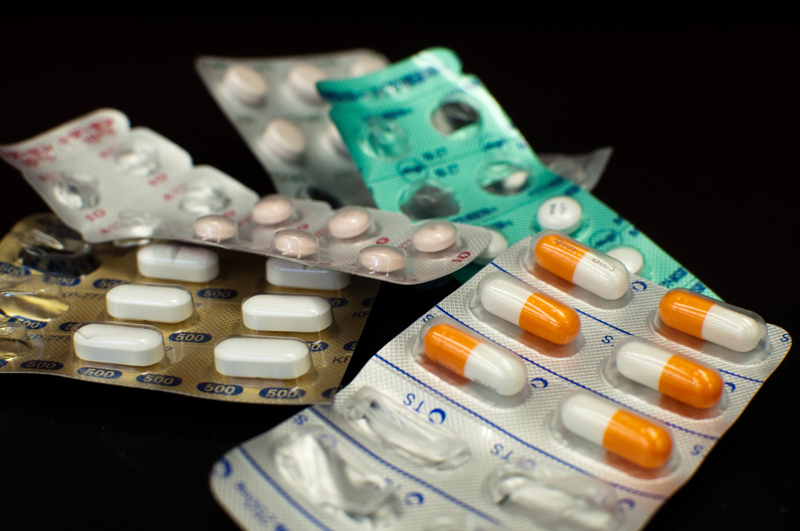 Antidepressants to Combat SAD – What Are The Most Commonly Used Drugs? [vc_row][vc_column width=”1/1″][vc_column_text]In the last few decades, many treatment options for Seasonal Affective Disorder (SAD) appeared. Antidepressants in combination with cognitive behavioral therapy are most commonly recommended, and light therapy is also proven to be beneficial. The National Institute for Clinical Excellence (NICE) has recommended that SAD needs to be treated according to current treatment protocols for depressive disorders. Antidepressant medication is most commonly prescribed in order to combat winter blues and related disorders. During last couple of decades, several groups of antidepressants have been developed with different mechanisms of action, effectiveness, and side effects. Principles of modern clinical practice suggest that antidepressant therapy plan should be designed for each patient individually because not all patients are responsive to same drugs. Second generation antidepressants are currently preferable treatment option for SAD, and they include selective serotonin reuptake inhibitors (SSRIs), serotonin and norepinephrine reuptake inhibitors (SNRIs) and other drugs. Of course, older generation medications are still present including tricyclic and tetracyclic antidepressants. Prozac is an extremely popular antidepressant, with almost 25 million prescriptions written annually. The drug, which scientifically goes by the name fluoxetine, is categorized under the list of antidepressants known as selective serotonin reuptake inhibitors or SSRIs. The drug has gained FDA approval for the treatment of such conditions as seasonal affective disorder, pediatric depression, bulimia, premenstrual dysphoric disorder (PMDD), obsessive-compulsive disorder, and panic disorder. Zoloft or sertraline is also one of the antidepressants that fall under the classes of medicines known as serotonin reuptake inhibitors or SSRIs. The drug provides relief from symptoms related to winter depression, panic disorder, PMDD, obsessive-compulsive disorder, and panic disorder. When first taking the medication, some patients experience suicidal thoughts. Therefore, the dosage is monitored and the patient is regularly checked to ensure progress during the initial weeks of therapy. Zoloft is not advised for use by pregnant women as it has been known to cause lung disorders and heart defects in newborns. The medicine is not recommended either for children under 18 years old. SNRIs are also called “dual inhibitors” because they increase the concentration of two neurotransmitters (serotonin and norepinephrine) in the brain tissue. These drugs are commonly used in patients unresponsive to SSRIs and in patients with more severe depressive disorders. Venlafaxine (Effexor) and Desvenlafaxine (Pristiq) have shown to be very effective in the treatment of SAD, but are often followed by broad range of side effects. Duloxetine (Cymbalta) also belongs to this group, but the amount of side effects is much lower. In order to beat winter blues, it is sometimes necessary to modify the concentration of more than two neurotransmitters in the brain. Bupropion (Wellbutrin) increases the amount of dopamine, which is also a crucial neurotransmitter for proper functioning of nervous system. Bupropion is approved for the treatment of SAD, but it was originally designed to help with smoking withdrawal. Tricyclic antidepressants such as amitriptyline (Elavil) and desipramine (Norpramin) are almost abandoned for the treatment of depressive disorders because of their numerous side effects, some of which can be very serious. On the other hand, they are still very effective and can be used in some patients under the strict supervision of health care provider. Monoamine oxidase inhibitors (MAO), antipsychotics, and experimental drugs are not included in the standard treatment of seasonal affective disorder and are reserved for patients with severe forms of depression mixed with other psychiatric disorders. Kurlansik, S.L., Ibay, A.D. (2012). Seasonal affective disorder. Am Fam Physician. 86(11):1037-41. Modell, J.G., Rosenthal, N.E., Harriett, A.E., Krishen, A., Asgharian, A., Foster, V.J., Metz, A., Rockett, C.B., Wightman, D.S. (2005). Seasonal affective disorder and its prevention by anticipatory treatment with bupropion XL. Biol Psychiatry. 58(8):658-67.
rose is perhaps the most traditional flower used inn weddings. and available in a gamut of shapes and colors.